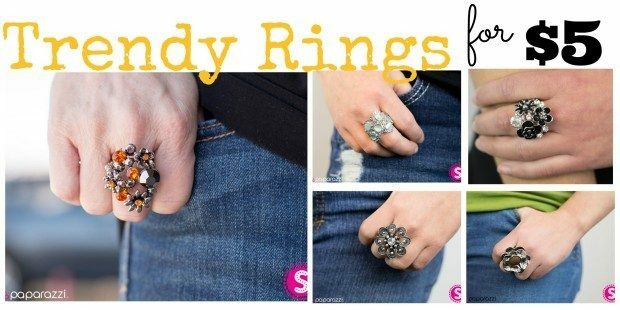 5 Trendy Rings For $5! You are here: Home / Instagram / 5 Trendy Rings For $5! 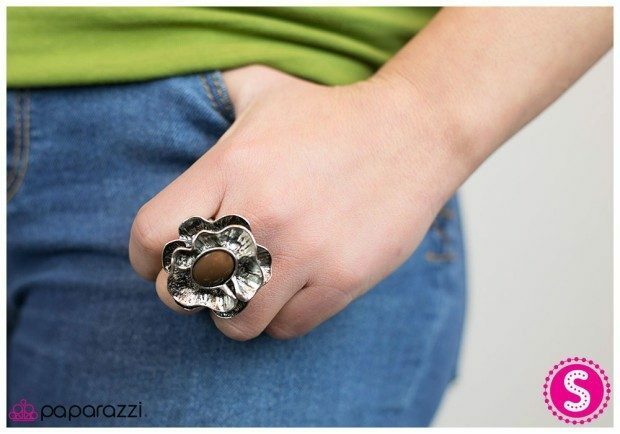 Check out these trendy rings for $5 from Paparazzi! I love them all and the fact that EVERYTHING is only $5! A cluster of flowers in an antiqued silver finish are sprinkled with vibrant orange rhinestones, while a single hematite stone adds mystery to the design. A bold brown bead is centered atop ripples of antiqued silver petals. 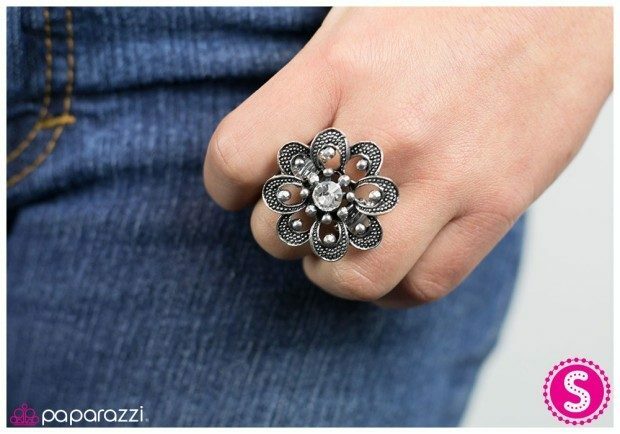 Black flowers are accented by sparkling silver gems. Overlapping petals dotted with texture fan out from a sparkling white rhinestone. Tiny hematite stones capture the light, adding extra shimmer to the piece. Glassy blue cat’s eye beads stand out against a backdrop of airy silver bubbles.